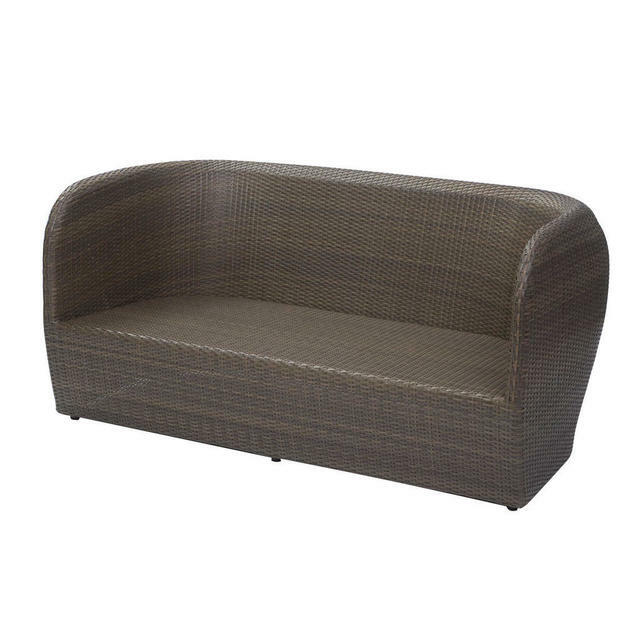 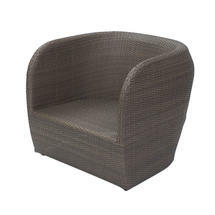 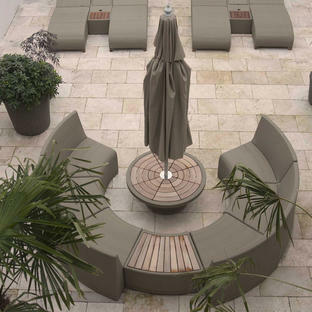 Contemporary with elegant curved corners is the Tubby outdoor lounge furniture. Tubby in name and tubby in nature, generously proportioned deep seating sofa and armchairs. 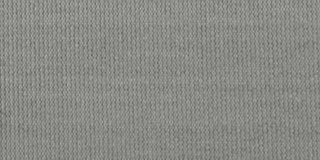 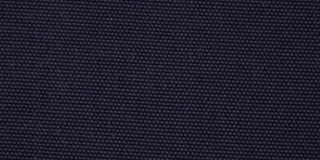 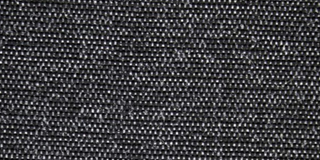 Woven over an aluminium frame for durability, the all-weather outdoor weave is suitable to be left outside in all weathers. 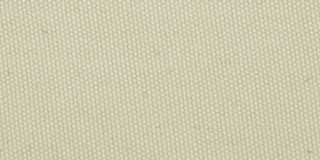 The weave colour is summergrass. For extra comfort seat cushions available to order separately. 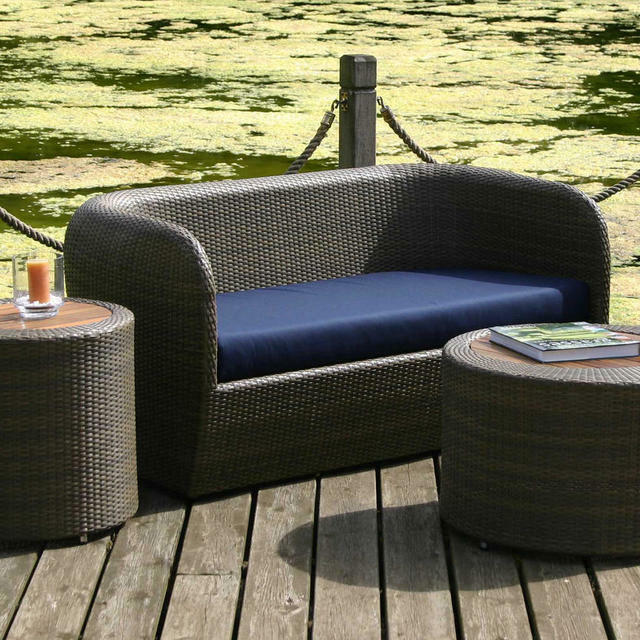 The occasional side and coffee tables from the Concentric collection complement the Tubby outdoor lounge furniture perfectly. 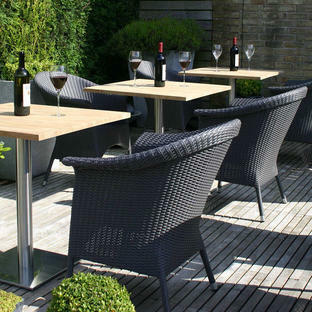 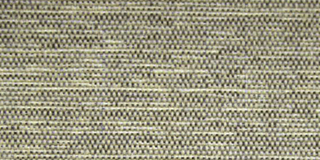 All weather outdoor weave over an aluminium frame in summergrass colour . 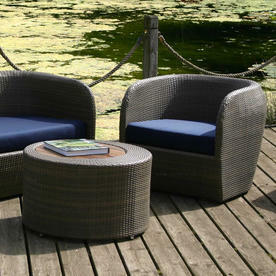 The cushions are made from Olefin outdoor fabric, this fabric is UV resistant and mildew resistant. 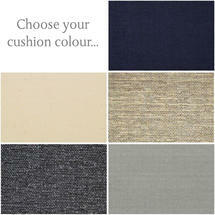 Bring the cushions in when not in use. 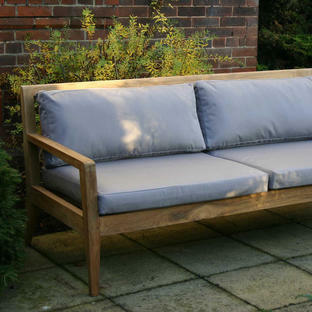 The furniture can be covered using all weather covers during the winter, or alternatively simply wash the furniture with water and non-foaming detergent if needed.